Ages and ages ago D and I went to Bar Esteban in Crouch End. 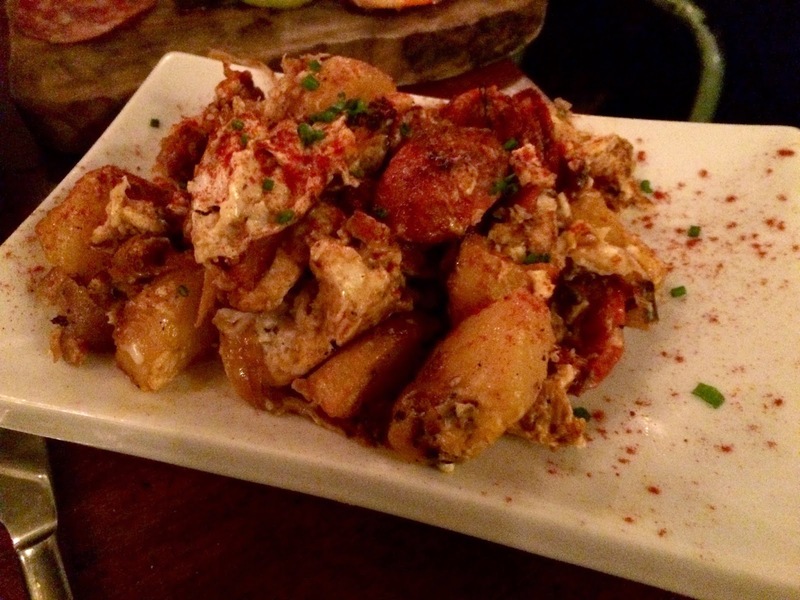 Anybody that knows me knows that I LOVE tapas. Infact, I think tapas might be my favourite thing. There's just something about Spanish food - the flavours, the smokiness, the way it's cooked and well, I just like the idea of sharing food. You get a little bit of everything, it's a sociable dinner and also, a great first date for those debating the 'where's a good date spot?' question. I'd said to D - 'right, I'm coming down for the weekend - get to work on restaurant research. TAPAS!' and he drummed up this beautiful little spot. We had a quick drink in The Anthologist before making our way over to eat our body weight in Spanish goodness. When we arrived our table unfortunately wasn't ready BUT that meant time for Sangria. There's ALWAYS time for Sangria. It didn't take too long for our table to become available so we got right to it with the menu. I ordered a feast fit for kings. First up - jamon iberico bellota. 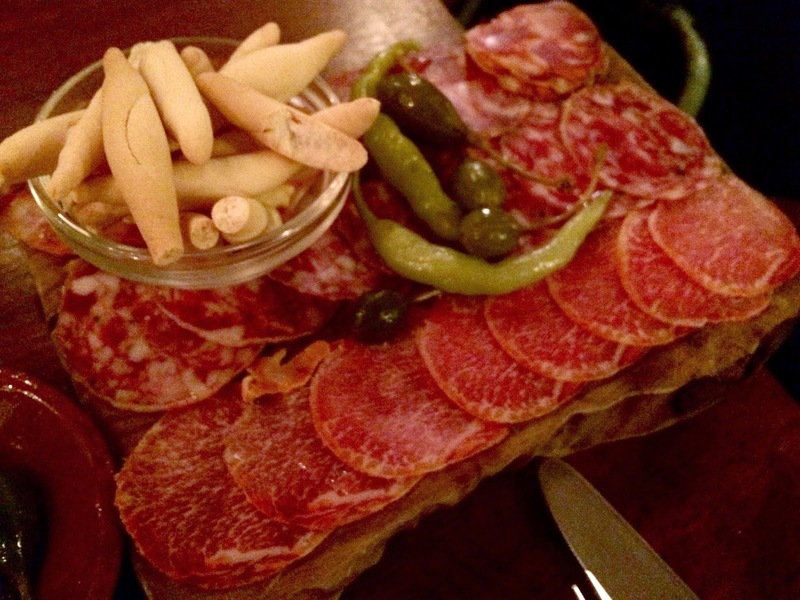 There is nothing nicer than Spanish cured ham. Nu-uh! 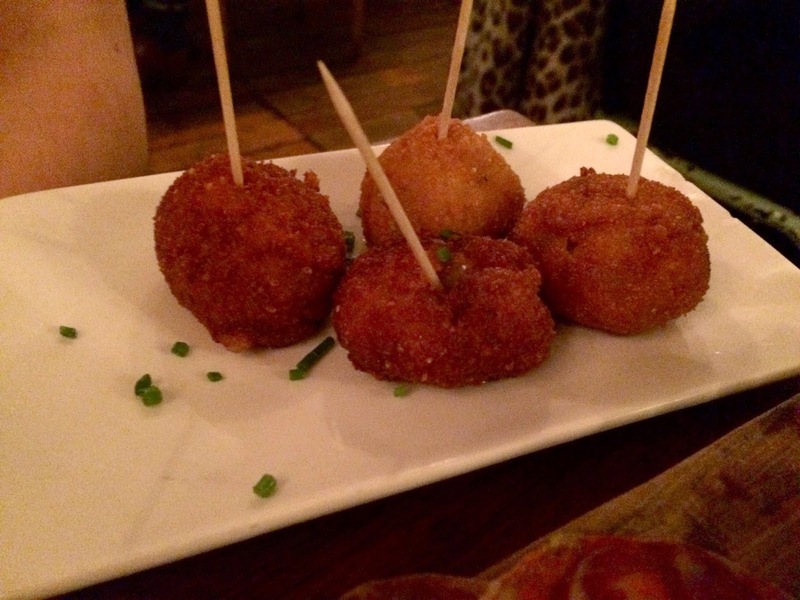 Next up - jamon croquetas. I love any form of croquettes. They're such an underrated side/meal accompaniment. These were the perfect amount of crispy outside with melt in the mouth middle. Now, the next one is unexpected for me. For as long as I can remember, I've never been a fan of lamb. I'm not sure what it is that doesn't lure me in but I've just always stayed away from it. Until I came to Bar Esteban. 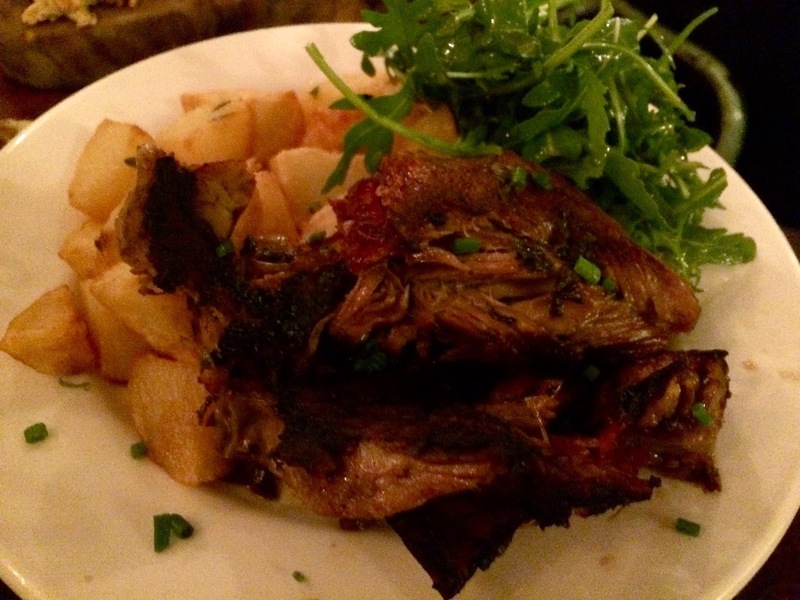 The special board had a slow roasted lamb, cooked in garlic and oil with a side of crispy potatoes and rocket drizzled in oil. The lamb was absolutely out of this world. It fell apart with barely a touch and *dribbles*. 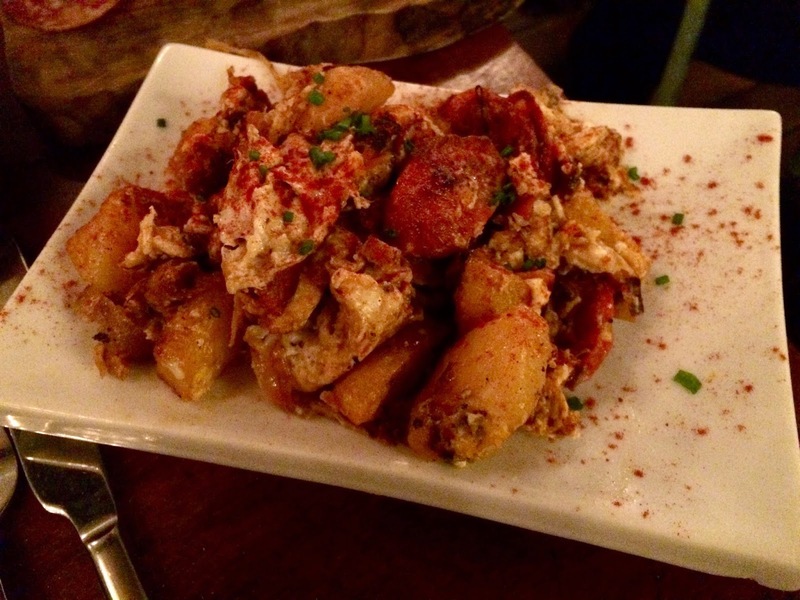 Tapas isn't tapas without a round of Patatas Bravas. Perfectly seasoned, perfect crisp to the potatoes and a little bit of a kick without being overpowering. 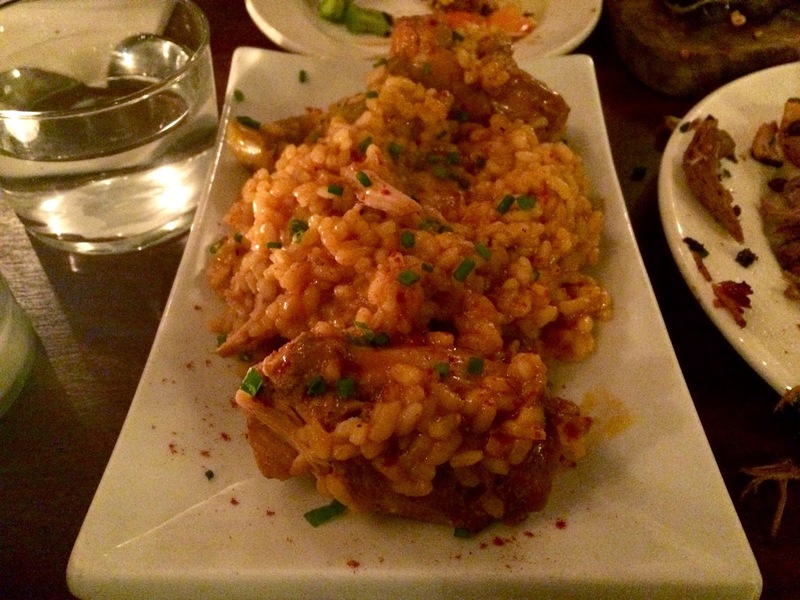 I could eat Paella any time of day, everyday. It's one of those dishes that I will never tire of. Some Paella can be served to 'dry' in restaurants but this really didn't suffer the mistake that so many chefs often make. The only way I can describe it - the right amount of slop. The spices were spot on, the rice soft and the consistency was faaaabulous. I love a tapas-style prawn. There's just something about them that makes them extra delicious. These were did not disappoint - cooked perfectly (SO easy to overcook a prawn!) seasoned in the right amount of garlic and a generous serving of herbs. 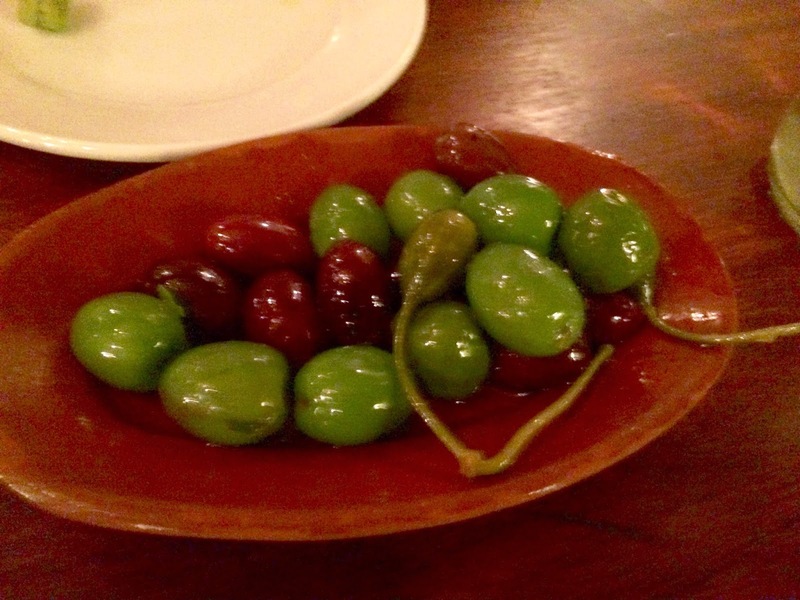 Naturally, the dinner involved olives, more Sangria and a whole lot of mmm's and ahhh's. Noises are the sign of a good meal. 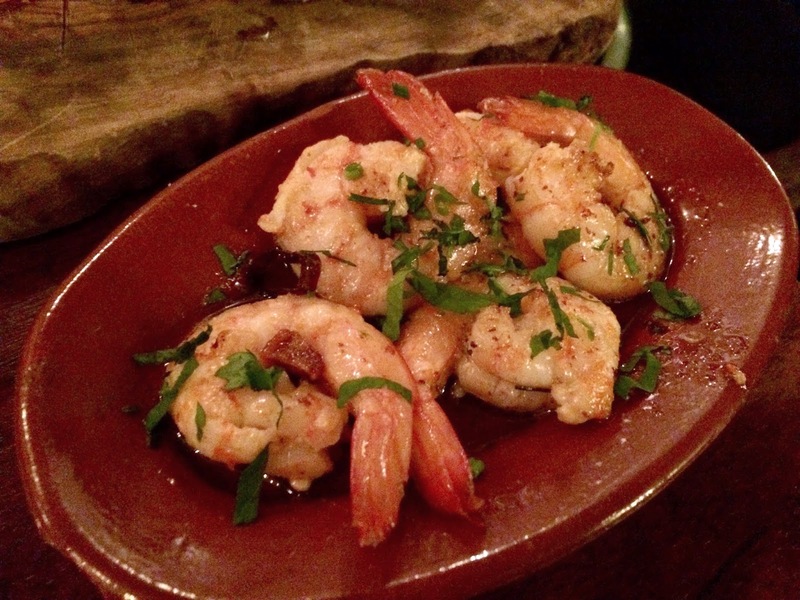 As well as the traditional style of tapas, the daily specials offered have a more contemporary feel whilst staying true to the Spanish style of cooking. I would recommend Bar Esteban down to the ground. Friendly staff, fast service, prices to match the quality and a really cool, authentic atmosphere. They're open until 10 Monday to Thursday, 11 Friday and Saturday and 9.30 on a Sunday. Go check out the rest of their menu and get booking your table! DROOL. So much drool. And hunger.